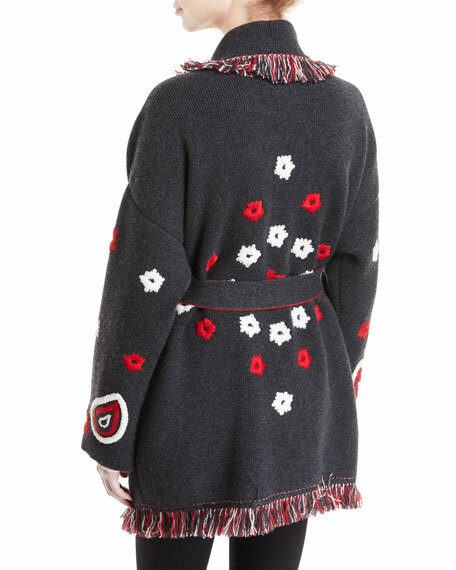 Alanui sweater with paisley bandana pattern. Fringed shawl collar; wrap front. 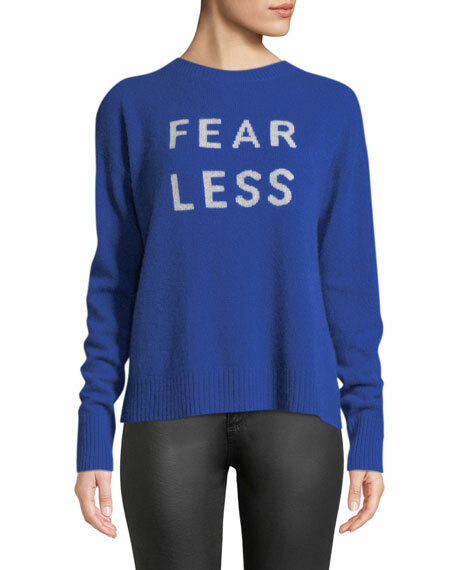 360Cashmere sweater with "Fear Less" statement typographic. Ribbed neck, cuffs, and hem. Scoop neckline. Long sleeves. Relaxed fit. Pullover style. Cashmere. Imported. 360Cashmere "Penny" sweater with allover skull graphic. V neckline. Long sleeves; ribbed cuffs. Relaxed fit. Pullover style. Cashmere. Imported. 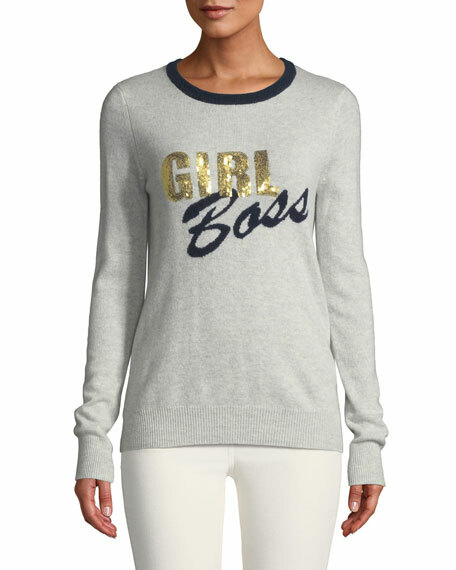 Autumn Cashmere sequin "Girl Boss" cashmere sweater. 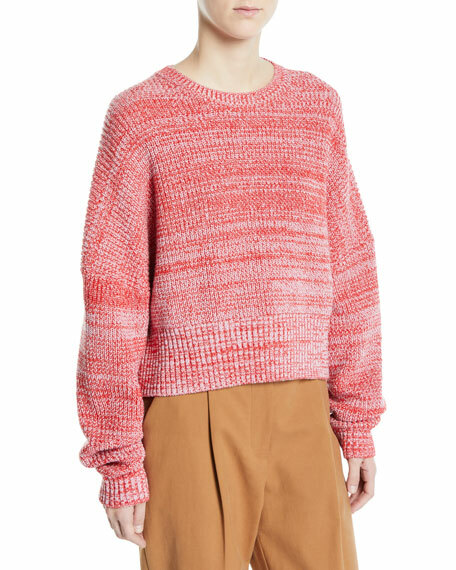 Ribbed neck, hem, & cuffs. Crew neckline. Long sleeves. Slim silhouette. Pullover style. Straight hem. Imported.